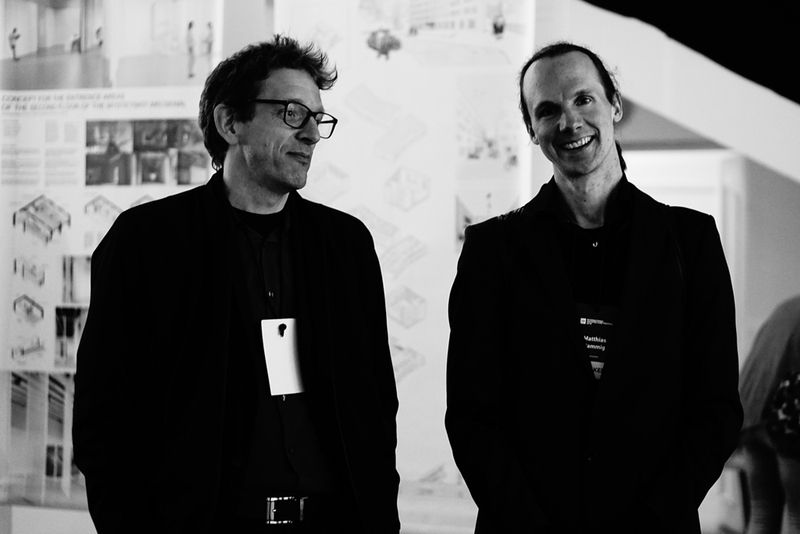 Matthias Rammig was invited to Kiev to give a keynote about Transsolar Klimaengineering at the CANactions architectural festival. While he was there, he also led an architectural tour, an archiwalk, through parts of the city. The festival was very inspiring with a great variety of keynotes from many different disciplines, including architects, urban planners, biophilic design experts and urban traffic consultants. The participants, mostly under 30, got a comprehensive view on the current challenges and opportunities within urban planning and building design. The guided walk through the city was especially interesting. It gave local professionals and interested people the chance to hear what foreign experts think about their city, and how things could be done differently. With nearly 100 keen participants in tow, Matthias and German architect Benjamin Hossbach (from [phase eins]) provided commentary on what they saw, while strolling the streets of Kiev. During this tour, the things that caught Matthias’ attention (as a climate engineer) were the split-units installed on almost every building, even the historical ones. These units become necessary for maintaining comfort in the summer, if there is no external shading installed and in the winter, if the city’s district heating supply system is unreliable. Implementing climate engineering strategies could help prevent the use of these energy-sucking, unsightly units in new buildings and even to their removal from existing buildings.